IBM has agreed to acquire Aspera, a company that deals in fast file transfers. The move provides IBM with complementary capabilities to better enable companies to move data, on the premises or in the cloud, at global distances. The financial terms of the deal have not yet been disclosed. While big data grows even bigger, traditional network protocols limit the speed and reliability of the data's movement to where it is needed most. For an example, a researcher might need access to complex genomic research which is stored across several cloud services around the world. Similarly an editor for a big film may need to transmit film shots back to the production studio. Big data transfers like these can take hours, days or weeks by traditional standards. They can also suffer from performance or security issues. Aspera's patented extreme file transfer technology accelerates the transfer of large files and large collections of files by up to 99.9%. The company reduced a 26 hour transmission of a 24 GB file, sent across the world, to just 30 seconds. This speed is powered by Asper'a patented 'fasp' protocol. The acquisition marks the latest big data investment for IBM, which has invested more than $16 billion (£9.7 billion, AU$18 billion) in more than 30 analytics acquisitions over the last five years. 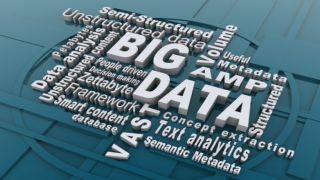 "Our experience working with thousands of clients on big data projects tells us that companies can better compete and win when they can quickly extract value from massive volumes of data," said John Mesburg, vice president of B2B and commerce solutions, IBM. "With this acquisition, IBM addresses a key challenge for globally integrated enterprises by allowing them to move large data files much faster to those who need them, whoever they may be."